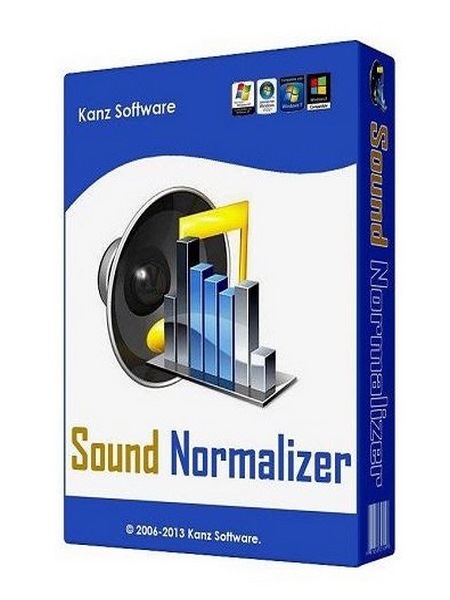 The Sound Normalizer reduce, improves, regains a volume and a file size without losing ID3, FLAC, Ogg, Mp4 Tags of Mp3, Mp4, Ogg, FLAC, APE, AAC and Wav (PCM 8, 16, 24, 32 bits, DSP, GSM, IMA ADPCM, MS ADPCM, AC3, MP3, MP2, OGG, A-LAW, u-LAW) files. It is reached by the test and normalization of the volume level of Mp3, Mp4, FLAC, Ogg, APE, AAC and Wav files. The Sound Normalizer contains batch processor and it allows to fulfill the batch test, batch normalization and batch converting Mp3, Mp4, Ogg, FLAC, APE, AAC and Wav (PCM 8, 16, 24, 32 bits, DSP, GSM, IMA ADPCM, MS ADPCM, AC3, MP3, MP2, OGG, A-LAW, u-LAW) files. The Sound Normalizer allows to fulfill the test and normalization separately for each channel (Left, Right). Volume normalization is fulfilled with help of the Mp3 / Mp4 / Wav / FLAC / Ogg / APE / AAC Normalizer. The volume level is represented graphically in percentage or decibels (dB). The Wav, Mp4, Ogg, APE, FLAC, AAC normalization and test is fulfilled on a peak level (Peak Normalization) and on an average level (RMS normalization). The Mp3 normalization and test is fulfilled on an average level (RMS normalization). The Mp3 Normalizer allows to modify a volume of a scanned file directly without usage Mp3 Encoder and APEv2 tags. The Sound Normalizer also allows editing ID3, Mp4, FLAC, Ogg Tags, converting FLAC to Mp3 (with saving ID3, FLAC tags), Wav to Mp3, Mp3 to Wav, Mp3 to Mp3 (with saving ID3 tags), Wav to MP4, Wav to AAC, MP4 to Wav, AAC to Wav, MP4/AAC to MP4/AAC, Wav to APE, APE to Wav, APE to Ogg, Wav to Ogg, Ogg to Mp3, Ogg to Wav files using Lame MP3 Encoder 3.99.2, FLAC Encoder 1.3.0, Monkey’s Audio Encoder 4.11, Ogg Vorbis Encoder 1.3.2 (aoTuV 6.03), FAAC Encoder 1.28, listening Mp3, Mp4, FLAC, Ogg, APE, AAC and Wav files using the build-in audio player.